The ACP Board of Directors, Annual Session program committee, and ACP staff extend their thanks to everyone who was part of the "crown jewel" of the College and the specialty. Dr. Carl F. Driscoll, ACP President and Dr. John R. Agar, Program Chair welcomed nearly 1,100 professional attendees to San Diego -- the second highest total in ACP history! Did you visit the ACP Photo Booth to take a professional headshot? Headshots were sent by email immediately and they are now available for download. If you like your headshot, send it to the ACP staff to update your Find a Prosthodontist search entry. Did you have your photo snapped by the ACP photographer in San Diego? Photos from throughout the week are now online. Browse through the albums by day on the ACP Shutterfly Site and see if you can find yourself or your friends and colleagues! Download any photos you like for use on social media, your practice website, and more. 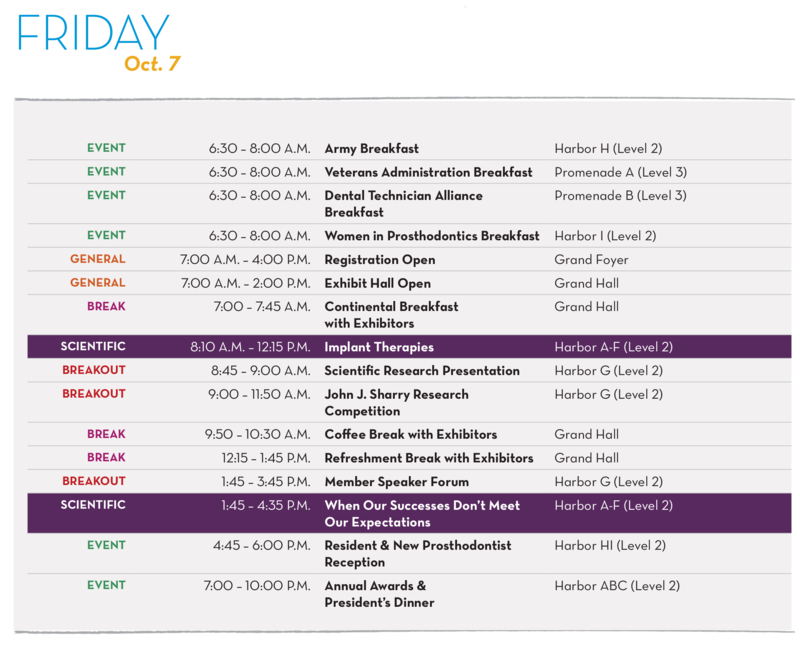 Review the Schedule at a Glance or the Preliminary Scientific Program to see what occurred during the week. Speaker bios and disclosures are available for review. Some events and workshops may require a separate fee. Tickets are limited and may not be available for purchase onsite. Thank you to all of the exhibitors who joined us at the 2016 Annual Session. Interested in exhibiting for the 2017 Annual Session? 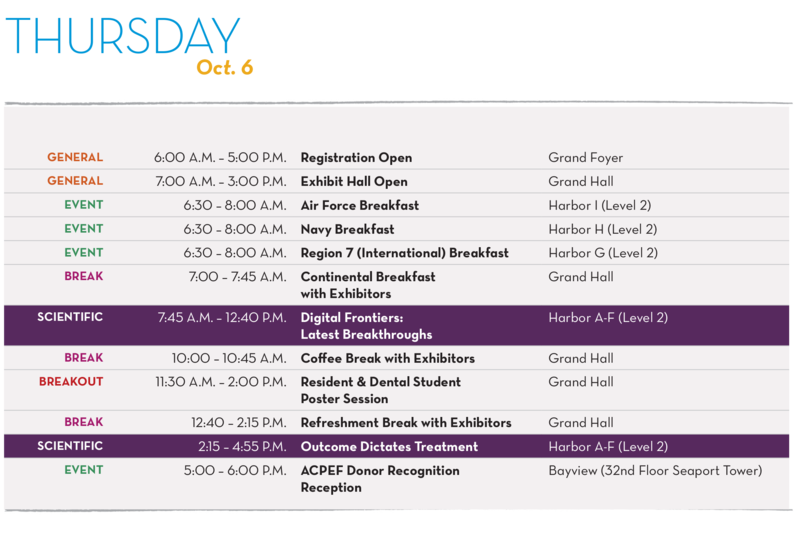 The Annual Session draws 1,100 attendees and registration has consistently increased over the past five years. To assist our corporate partners in maximizing their exposure to this very influential group, the ACP offers flexible sponsorship packages designed to fit a variety of budgets and a chance for premium visibility. A guide to sponsorship opportunities is available. Contact education@prosthodontics.org to inquire further.